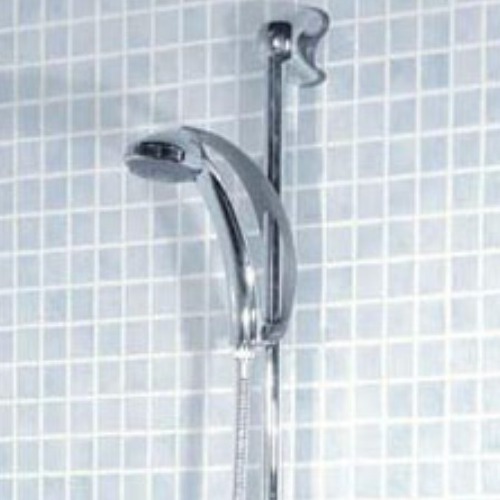 Our decorative PVC Shower Panels have been designed specificially for use within bathrooms and inside shower enclosures. Completely waterproof, lightweight, and with a very high quality finish, these PVC Panels are eye-catching and simple to fit. Sturdy yet easy to handle, these panels are much lighter than traditional MDF panels making installation a far easier task. The increasing popularity of PVC Shower Panels comes from the speed and cost of installation compared to the traditional tiled finishes and also their maintenance free nature - regrouting is a thing of the past. In all but the largest shower enclosures all you will need to do the job is two panels and an internal corner trim, which can be white, chome or black to suit your individual tastes. Each Panel is 1 metre wide and 2.4 metres long. We currently stock the 10mm thick Aqua 1000 range as well as the 4mm thick elegant Opulent range. Installation is relatively straightforward - please click to read or download our Shower Panel Installation Instructions. Please note that these products are delivered direct from the manufacturer within our normal specified time frame (next working day for orders placed before noon - click here for further details). Want some advice on how to install your internal cladding, or interested in finding out more about our product range, take a look at our guides & tips. How Is Internal Cladding Fixed To The Wall?